Everything about Remington House is nice. For everything I could see, it's a well-run place, and is managed very nicely. I don't see any downside to me going there. The person who showed me around the place was informative enough. Hi Phil! Thank you for sharing your personal experience visiting our community; we appreciate your feedback! I visited Remington House. I liked the way it looked, and the people there recommended it. I liked that they had exercises and activities to keep them busy. They have different levels of care, and it sounded like they have good care overall. It was better than any motel room you could have stayed in. I visited the Remington House about a month ago. It was great. We saw everything, we did a tour. We saw their 1-bedroom apartment, which had a kitchenette, and was up-to-date and clean. The staff was very pleasant. The dining area looked fine; I was impressed. There was an art room, a Bingo room, and a movie room. Remington House was a very beautiful place, and the apartments were extremely nice. It’s got a chapel built right in down on the first floor, a little movie theater for the residents where they show movies a couple of times a week, and a cafeteria which is nice, and the food is good. Very nice setting and very close to hospital and doctors offices. My husband and I both went for a tour at Remington House, and we both loved it. It’s gorgeous, beautiful, and bright, but I think it’s a little pricey. It didn’t even look like an assisted living facility. I like the rooms; they had like a back port where you could sit outside if you wanted to. We saw the menu and the kitchen, and the food looked good. The only reason we didn’t take it was because it didn’t have memory care. Remington House was a very nice place with a lot of activities and interactions with the seniors. I know of two or three people who already stayed there. The layout is nice; the rooms are big plus they have different wings and couples, so you can have a husband and wife live together. They offer a lot, but their pricing is really out of my range and very expensive. Remington House has a really homey atmosphere. My relative has a very nice room and does lots of activities. Cleanliness is excellent. My aunt had stayed at Remington House. The personnel there were wonderful. They had a lot of activities. The food was wonderful. I ate there a lot. They had very nice big rooms. It was like a little studio apartment. It was secured. There was somebody at the door all the time. I was totally pleased with them. Remington was excellent. If I ever become filthy rich, that's where I'm going. Your parents need to be mobile though. It's the cream of the crop. The dining room was exquisite. The atmosphere was like going to a resort, Hyatt, or Hilton. They did have a big board of listed activities such as board games, bingo, and crafts. The activity director would bring in people to do potteries, exercise, yoga, and tai chi. The dining room had 100 or more tables, which were elegant, like a five-star restaurant. They had their own chef, and you could pick a meal. They were excellent, but the problem was that they're too expensive. On the last day of my rehab at Remington, my granddaughter had a man from Remington House bring a wheeler and let me go and look at it. He took me in the wheelchair and served us lunch and that was the most beautiful place I had ever seen. It was around Christmas and it was absolutely beautiful. The dining room where they invited us to lunch, the food and the table was beautiful. They took us to see the room and everything about it was just beautiful. Remington was an excellent facility, unlike the facility where my mom is now. They have aging in place and as your life changes, the quality of care can change and it could be upgraded so you wouldn’t have to leave to go to another facility. What I also like is that they have independent living as well as a whole section of one-bedroom apartments so you can live there on your own and have a kitchen to cook for yourself. Part of their amenities package is you get to have one meal a day at the assisted care facility -- it’s your choice of whether it's breakfast, lunch, or dinner. You also get the benefit of participating in any of the activities. Once again, you could live independently, but you’re not alone. You don’t feel like you are by yourself. I didn’t see the independent living apartments, but I saw the apartments in the assisted living area. The apartments were nice -- they were like studio apartments and they had a bathroom. You could also have your own refrigerator and microwave. People in the assisted living section got all of their meals with the program and you have your personal furniture there. Remington House is convenient to where we live and financially, it is a better place for my sister's budget. The staff is wonderful. Their cleanliness is excellent. They have people to clean the rooms and they are all good. The offer activities and she goes to a lot of them. They have bingo, movies, billiards, card tables and arts and crafts. They take them out shopping and they have worship service. They try to have the whole gambit covered. She is very happy there and I have nothing negative to say about them. We visited Remington. It looked very nice. The woman who gave us the tour was very nice and professional. She was really trying hard to get us into it. The facility was very clean and spacious. They have a pool table room and a library. She told us that they did things like bingo. The dining room was big. I did visit Remington when they have a drivers class there. It was nice but I didn't see much of it. I've seen it from the outside and it looked nice but not as attractive as the other facility. People who were in the Remington House looked very well taken care of and they were very, very happy. The place was immaculate. The elderly people who were in wheel chairs were truly very happy people; they were just ecstatic. I've never seen that in a nursing home or anywhere where there was so much happiness in an elderly home. I've visited some residents that were bedridden and in separate rooms, and they were very clean, very rested, and very well taken care of. We went to see the Remington House. It was a very very nice facility. It was super! I like best its cleanliness and the program they offer. Their rooms were very nice. They have several things for their residents including some outside activities. The one staff we came in contact with was very nice and very helpful. The people staying there seemed to be very happy as well. Remington House were flexible in terms with their price and its very nice facility. As far as I can remember, they have a pretty big dining rom. The people that showed us around were nice and helpful. They offer two meals a day. Remington House is close by my residence. Aside from the location, we also chose this facility because my mother liked it best among the facilities we visited. I also like that it is a large campus. There are plenty of places to go. There is independent living on one side and assisted living on the other side. My mom is in the independent living for about a week now. Their rooms seem to be nice. Regarding activities, there seems to be an abundance of them there. They have bingo, exercise, arts and crafts, puzzles, etc. In fact, my mother has already participated in a few of them. They have a real nice lunch, which is their main meal, and they would serve it in such a way that people are sitting together and nobody is left out. I've eaten there more than once. It's not homecooking but it's good. My mom was under a lot of stress going into a place like this, but we have seen great improvement so far. Right now, she seems to be satisfied being there. My grandmother lives at Remington House. Very impressive senior community! Excellent care, clean, and attentive staff and management. Would recommend this place highly if you are looking for assisted or independent living. My father-n-law lived here until he died. He loved living there. Excellent care, fantastic decorated place, well kept, and not bad prices. It is a place to really consider when placing a loved one to live. I would like living there. My first impression of Remington House was good. It is clean, and the rooms are nice. I'm not crazy about the food, and my husband isn't either, but that's probably part of having to live in a place where they have to cook for a lot of people. It's not what we would do for ourselves, but we have to live with it. They have what you want to do, like activities in one of the rooms in the dining area. You can do crafts, make necklaces, and do all kinds of stuff. They have movies on certain days of the week. What they provide is OK. It's expensive, but that's just the norm, I guess. The staff is OK. We don't see them very often, but you can call them if you need them. We don't have a problem with it. We've been here for a few months already. Remington House was very nice. I liked the set-up. I liked the two-bedroom unit. I liked that even if I would have medical problems, the staff was on site. They had personal medical staff. I sat to have lunch with them, and you would get one or two meals a day, but they had facilities where they could cook and do their own meals. The food was fine. They gave me a walk around the facility and showed me the room. Our visiting experience at Remington House was great. Unfortunately, the apartment that was available didn’t have a shower. It only had a bath tub, so my mom wouldn’t take it. I think they had a salon; there was an exercise area and a library. It was really nice. There was stuff going almost every day. They had arts and crafts. Two days a week they would take them out to doctor appointments or shopping. It was a community dining room, and it was restaurant service. With the independent-living, it’s one meal a day. If you wanted to do more, it was like $5 a day for each meal. The apartment had its own kitchen and a stove. You can cook for yourself -- which was nice. My brother is on a waiting list for Remington House. It's very nice -- they serve three meals a day. I liked it very much. It's very comfortable and it has the option to upgrade to assisted living if he needs it. It's significantly cheaper than any other place. It does have a library and he will make use of that, but he doesn't want to do activities. They have transportation to doctors and it's really close to a hospital, medical center, and grocery stores. The lady who presented Remington House to us was honest and upfront. She was very good at what she does. Remington stood out because of the personal qualities that were extended to the residents themselves. The apartments are neat, clean, well-organized, intimate, and very personalized. It is homey and private. It doesn’t have a nursing home atmosphere. I did view the dining facility, and I talked to the lady in charge there. Everything looked very appetizing and very professional. It was like dining in a four-star restaurant. For activities, I have observed some, and there was something for everyone. There was no reason to claim boredom. There were activities that try to involve the residents and not let them feel apart from the community. Remington is nice, and it was clean. They have a lot of things for the residents to do and activities planned, like entertainment. The dining area was nice. I met with the assistant director, and she was nice. Senior assisted living at Regal Estates of League City offers residents the best of both worlds. All benefits of our senior living community are combined with a full spectrum of senior care services to create a premier senior assisted living community. Residents enjoy beautiful surroundings, on-site amenities and social programs alongside continual on-call medical care. At Regal Estates of League City, we adhere to state-of-the-art standards of senior assisted living while providing a special touch. Our residents receive personal and comprehensive care and are consistently treated with the dignity and respect they deserve. Whether our residents need help with day-to-day activities, getting to appointments, or medication management, our caregivers kindly and competently meet those needs. Our assisted living community in League City has been purposefully designed to provide you or your loved one with a nurturing, comfortable, home-like environment that is attractive and easy to navigate. We foster community and family by hosting many activities and events each month. Residents are encouraged to participate in as many pursuits and outings as they like, appropriate to their ability. No matter what, everyone is treated as an individual person with unique needs. 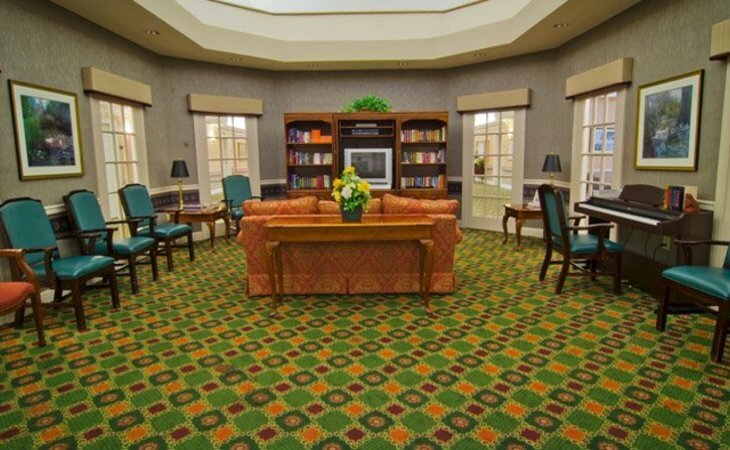 At Regal Estates of League City, our residents live life to its fullest as they age in place. Regal Estates of League City offers independent living in League City for seniors who are able and inclined to live independently, but crave the comfort, security and social opportunity a retirement community offers. On-call assistance and maintenance-free living means you never need worry about anything but living life to the fullest! Just steps from your front door, you'll find easy access to a fitness center, media room and a wide assortment of activities, as well as special events and regularly scheduled outings into the community. If you are looking for a vibrant, active place to call home during your retirement years, Regal Estates of League City will fulfill your desires. Come visit us and see how great senior independent living can be. What should caregivers and potential residents know about Remington House?